(CNN) - An hour after Mitt Romney stepped off of his party's convention stage, crowned as the Republican presidential nominee, organizers of the Democratic convention announced several speakers who will appear onstage in Charlotte, North Carolina next week. The partial lineup released Friday highlights Democratic women, Latinos, African-Americans, and congressional leaders. The convention speaker list includes Sen. John Kerry of Massachusetts; Maryland Gov. Martin O'Malley; Chicago Mayor Rahm Emanuel, the former White House Chief of Staff; and former Virginia Gov. Tim Kaine, who is running for a U.S. Senate seat. Earlier this week, convention organizers announced that Newark Mayor Cory Booker and Rep. Barbara Lee of California would participate in revealing the party's platform. Among the speakers announced Friday are House Democratic Leader Nancy Pelosi and Senate Majority Leader Harry Reid, the convention announced. Congressional Hispanic Caucus Chair Charlie Gonzalez, Congressional Black Caucus Chairman Emanuel Cleaver, Rep. John Lewis of Georgia, and Judy Chu, who is among the Congressional Asian Pacific American Caucus, will also speak, the convention announced. 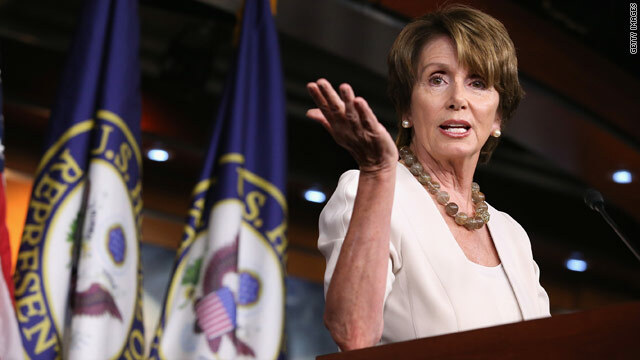 Pelosi will speak for House Democrats and lead a presentation of House Democratic women, the convention announced. Among those in the presentation are Rep. Rosa DeLauro of Connecticut, Rep. Carolyn Maloney of New York, Rep. Nydia Velasquez of New York, Rep. Gwen Moore of Wisconsin, Rep. Allyson Schwartz of Pennsylvania, Rep. Donna Edwards of Maryland. The presentation will also include two congressional candidates: Joyce Beatty of Ohio and Tulsi Gabbard of Hawaii.